We have just designed a new online Swift Sighting form and we want you to get using it! Over the past few summers we have been appealing to birdwatchers and the wider public to log their Swift sightings and nest locations. 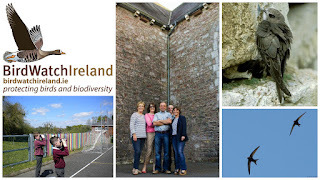 Each year BirdWatch Ireland is contacted by people concerned that their local Swift colony may be in danger due to building renovations or even demolition. By the time we hear from these people its often too late to act in order to protect these colonies or mitigate for the planned works. 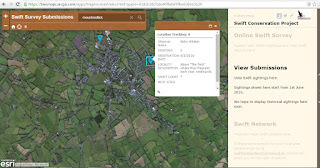 This year is no different we want you to log your Swift colony locations and swift sightings so over time we can build up an itinerary of where Swifts are nesting across the entire country. 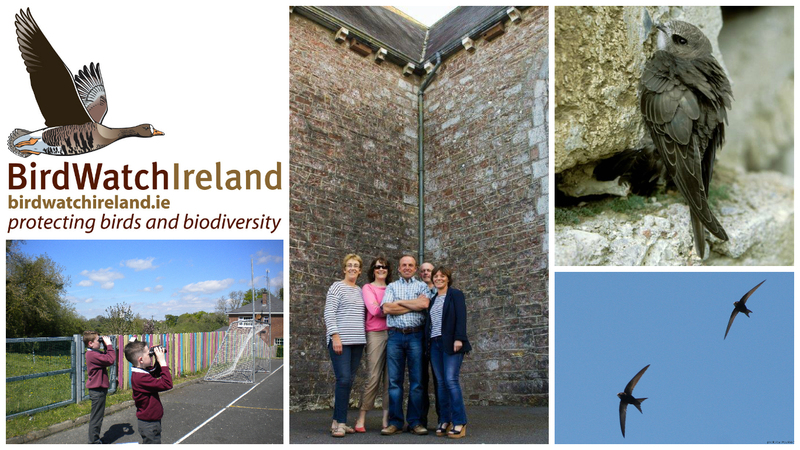 If we can gather this information we will be armed with robust data enabling us to look out for and take care of Irelands Swift colonies. The Swift breeding season is beginning to hot up now with parent birds on eggs and the first feeding visits will be starting soon. There is no better time to have a look at the sites where you feel Swifts might be nesting and if your hunch is right please log your observations on our new swift mapping system. The new mapping format allows you to log sightings and absence of Swifts, whilst it also allows you to view all the submissions received this season. 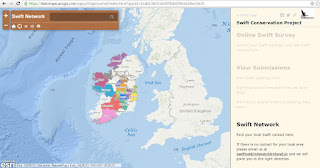 Lastly we have provided an updated Swift Network map which give s all the contact information you may need to get in touch with your local Swift Network member who will be able to help advise you on of all things Swift related. So please go to our Swift Survey Page here and log your sightings throughout the summer. How do I know whether it's a swift, sparrow or house-martin? Simply Swifts do not build a nest! they are vaguely similar to swallow but larger with sickle like wings and very dark almost black allover. My other advice is to learn their screaming call and you will be surprised how that will help you see many more Swifts as you go about your business. There is a link to an audio of the call at the link above! Good luck and we look forward to receiving you records throughout the summer.